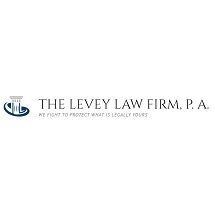 The Levey Law Firm, P.A. files lawsuits in all 67 counties in Florida to collect money owed to our clients. Mr. Levey has handled thousands of collection and complicated business litigation cases for over 30 years and personally takes responsibility for every one of our cases. Our firm is one of the few Florida law firms experienced in handling large volumes of cases. We have handled hundreds of cases for banks, credit unions, credit card companies and lenders of all types. We have particular experience in collecting receivables for manufacturers, wholesalers, retailers, clinics, professional service providers, contractors and any type of business owed money for goods or services. We take pride in representing law firms throughout the country who hire us to collect their firm's receivables as well as money due their clients. Every day our firm works to enforce judgments through garnishments, levies and execution upon real and personal property, as well as domesticating judgments and negotiating settlements for our clients. We move quickly at the start of each case to track down and locate the debtors to serve them with the complaint and summons. We move for summary judgment and set cases for trial every week. Mr. Levey has handled over 5,000 hearings in court throughout Florida and uses his 30 years of experience at every hearing. At The Levey Law Firm, P.A., we take great pride in saying that WE FIGHT DELAY TO MAKE THEM PAY! If you want to discuss how we will fight to get you or your company what you are owed, we invite you to contact Mr. Levey by telephone or email and he will personally speak to you about your case. General Electric Capital Auto Lease, Inc.
General Electric Capital Fleet Services, Inc.
Glendale Federal Savings Bank F.S.B. Insignia Asset Management Group, Inc.